A Kano Senior Magistrates’ Court on Monday sentenced a 20-year-old student, Sultan Bello to 36 months imprisonment for impersonating the Emir of Kano, Alhaji Muhammadu Sanusi II. The News Agency of Nigeria (NAN) reports that the convict who resides at Ja’oji New Court Road Quarters, Kano, is being tried on a three-count charge of impersonation, cheating and defamation of character. The convict had pleaded guilty to the charges and begged for leniency. The Senior Magistrate, Hassan Ahmad, sentenced the convict to one year imprisonment or pay a fine of N30, 000 for impersonation. Ahmad also sentenced the convict to another year imprisonment or pay a fine of N30,000 for cheating, and 12 more months in prison with option to pay a fine of N30,000 for defamation of character. The Judge also ordered the convict to make arrangement with the six nominal complainants on how he would pay them back the sum of N1.85 million he dubiously collected from them. Earlier, the Prosecutor, Insp. Haziel Ledapwa, had told the court that the accused committed the offences on Feb. 27. 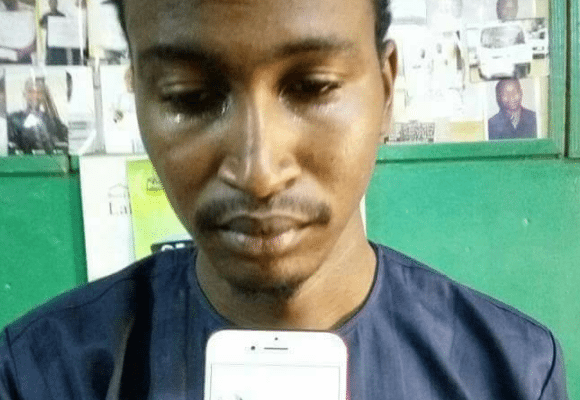 He said that the convict operated an Instagram page and dubiously posted himself as the Emir of Kano. Ledapwa said that the convict collected the money on the pretext that a Hausa film actress, Zubaida Mu’azu, had composed a song for him as the Emir of Kano. He requested the complainants to pay the said amount into the actress’ First Bank account number 3049986447. The prosecutor said that the offences contravene Sections 132, 322 and 392 of the penal code.